Back in 2013, Microsoft updated SharePoint Designer and brought in a feature that has been a huge help to SharePoint power users and developers. 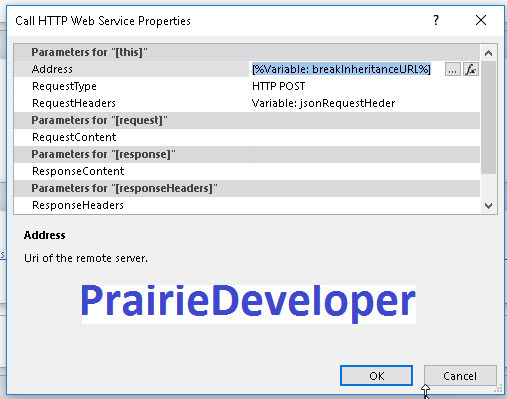 This being the ability to make an HTTP call to a web service. 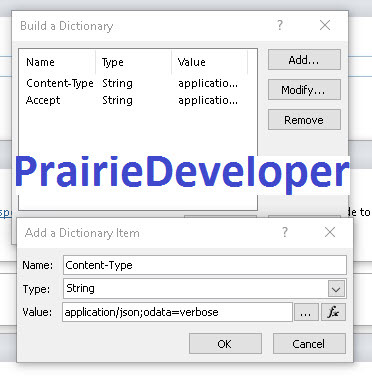 This allows workflows to make use of functionality that was not available to them in prior SPD workflows. Most of the instructions I have seen these days for setting security revolve around adding particular users to an item. So instead of that, I am going to focus on SharePoint Groups instead. The steps are pretty straightforward, but there are some supporting steps that I think everyone should be aware of. 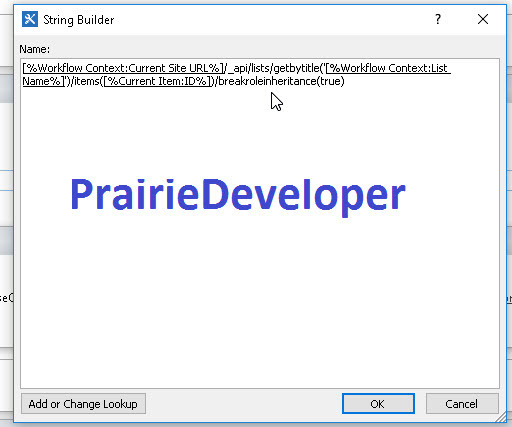 Set your URL and header variables ahead of time outside of the HTTP call. This allows you to reuse them later and limiting you to one place to make changes instead of a number of places. 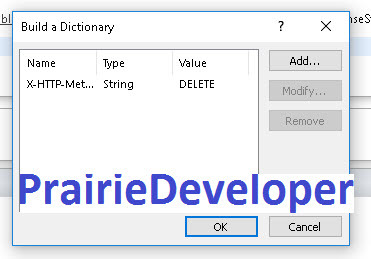 Setup your Header Dictionary. This is used to pass the headers along with the HTTP call. ResponseStatusCode: Variable to hold the response code. 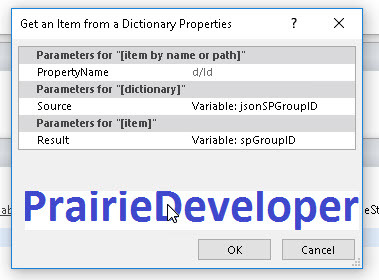 Note: the variable jsonSPGroupID is the variable captured from the previous HTTP Call.